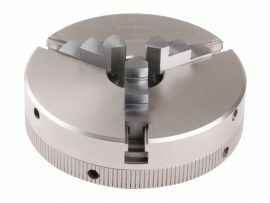 Our 3 Jaw Self Centering Chucks are available in two sizes, 2.5″ and 3.1″. 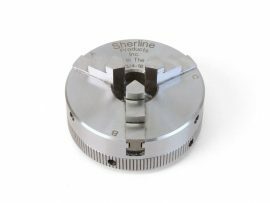 They are available with 3/4-16 threads for use on Sherline machines. 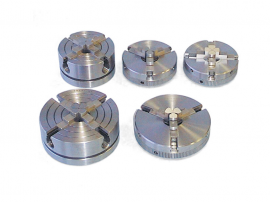 The smaller 2.5″ chucks are available with other spindle threads to fit machines made by other manufacturers, such as 12 mm x 1 mm and 14 mm x 1 mm for older Unimat lathes or 1/2-20 for old 6″ Sears lathes. 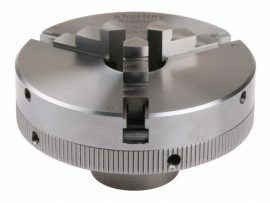 Custom build your own 3 or 4 jaw chuck. 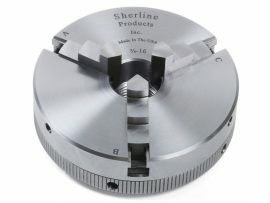 Choose from 2.5" or 3.1" body size and a variety of jaw options. 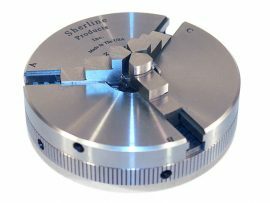 For more information and technical specifications of the chucks or jaws themselves please see their individual pages below.